Veterans of the U.S. military account for nearly a third of all those who receive a mesothelioma diagnosis. While veterans represent 8% of our nation’s population, veterans comprise 30% of all known mesothelioma deaths that have occurred in this country. So it is especially fitting that this 4th of July as we celebrate America’s independence – hard won by its first military – that the special discounts offered to all our nation’s military veterans will benefit those who have paid so dearly. That includes those of you with a mesothelioma diagnosis resulting from your service to our country. 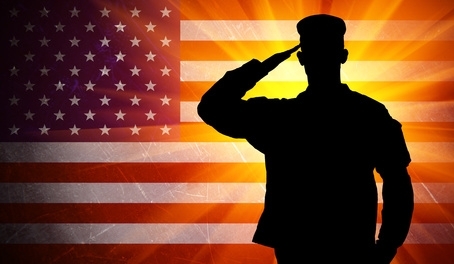 Veterans of the U.S. armed forces who served between 1940 and the 1990s are at great risk of developing asbestos-related diseases due to a high rate of asbestos exposure. According to the U.S. Department of Veterans Affairs, veterans who served in any of the following occupations may have been exposed to asbestos: mining, milling, shipyard work, insulation work, demolition of old buildings, carpentry and construction, manufacturing and installation of products such as flooring and roofing. FREE Fair Admission with valid military I.D. Veterans FREE with proof of service. Fireworks show on the 4th! Sony Pictures is offering free admission on July 4 to Columbia Pictures’ White House Down for all active military personnel and veterans with one guest at any Regal Entertainment Group, AMC Theatres, Cinemark Theatres, or Carmike Cinemas theater. Must show military ID. Seating is available on a first-come, first-served basis at participating locations. Visit the Military.com Discount Center for more information. Will pay tribute to America and our troops with a military color guard flag presentation and the singing of our national anthem and God Bless America. All military personnel (past and current with valid ID) will be admitted for free and can bring up to 6 guests for $21.99 each for the weekend of July 4 – July 6. Special Savings! Show your Military ID card and save on Knott’s Berry Farm Regular admission tickets! Show your ID to purchase Knott’s Berry Farm Regular admission tickets for only $38. Funderland Amusement Park (Sacramento, CA) – Get free admission to the park for active duty or retired military members, as well as up to four (4) members of your family. Military ID is required. Learn more here! Get 50% off a Family Meal purchase at participating Boston Market restaurants on July 4. Click here for the printable coupon. Lowe’s is offering their 10% military discount to military personnel in active, reserve or retired status, as well as retired veterans and those receiving VA benefits on July 4th. Get 10% off your order when you show a military ID. Valid on July 4, 2014 at participating stores.